Many of the interesting sights and landmarks that you will see in the Ozarks region include some of the best Branson attractions that you should not miss to visit. With the abundance of theaters, fascinating museums, theme parks, pristine lakes and great shopping and dining opportunities, you will know why Branson is known by many travelers as the best vacation destination in the Midwest. With so many fascinating sights and landmarks in Branson, you may find it difficult what to see first. To help you out, here are some of the best Branson attractions that are interesting to visit. 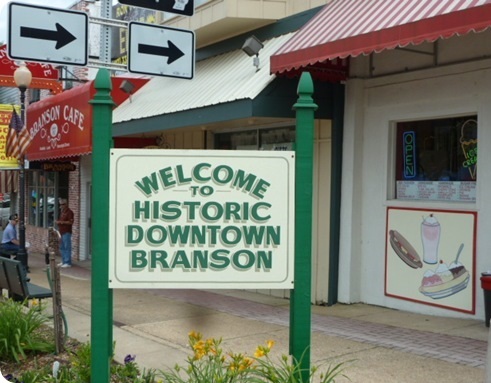 Historic Downtown Branson might be the place you want to visit first as this is beautifully located in the heart of Branson and probably near to your accommodation. It’s also in this place where you can find Branson Landing, the largest shopping district in Missouri. In this great shopping destination, you can find great shops such as Bass Pro Shops, Belk Department Store, American Eagle, and Brookstone. This shopping center also features an array of retail shops such as J. Jill, Cardinal’s Clubhouse, and White House/Black Market. You will also find unique shopping items at some retail shops at Branson Landing such as Versona Accessories, Girlie Girl Originals, and Majestic Gems. Aside from Branson Landing, you will also find Branson Scenic Railway at the Historic Downtown Branson. This exciting train attraction in Branson takes passengers on a 40-mile round trip train excursion that travel to locations not accessible to cars or other means of transportation. As the train travels through the Ozark Mountains, you will know about the history of the Ozarks through the narration of the train excursion tour guide. This short train travel will let you experience special treatment as it takes you round trip journey of one hour and 45 minutes. Hollywood Wax Museum is another beautiful sight in Branson to visit if you want to see your favorite Hollywood stars. The museum was established as a family business and later expanded into an entertainment company. The original Hollywood Wax Museum in California was built by Spoony Singh who had a dream of bringing together starlets and favorite stars. Other two locations were added in Branson, Missouri and Pigeon Forge in Tennessee. When you visit this museum, you can have the opportunity to pose with your favorite Hollywood stars such as Hugh Jackman, Samuel Jackson, Angelina Jolie, and Matthew McConaughey, and much more. The great display of the Hollywood stars inside the museum has become one of the most photographed landmarks in Branson. The wax figures of some famous Hollywood celebrities were created by wax artists that were formed from plain old globs of clay and wax. The museum is open year round – so there’s no reason that you can’t have the chance to come and have a picture taken with your favorite stars. Hollywood Wax Museum is without question one of the most visited Branson attractions. If you want to enjoy exciting fun activities in Branson, Silver Dollar City is the place to go. This fascinating place will amaze you once you find out that Silver Dollar City features many thrilling rides, incredible food, demonstrating craftsmen, great shopping, seasonal festivals and events, and amusements for kids. That’s not all, you’ll find in this award-winning theme park the wood roller coaster that Amusement Today voted the Best New Ride of 2013, the heart-pumping, record-breaking Outlaw Run. At Silver Dollar City, you will have an awesome experience when you walk your way through mystifying rooms with slanting floors, mirrored walls, and other dizzying effects that will turn the place upside down in Grandfather’s Mansion. If you don’t feel dizzy with this thrilling adventure, visit the ancient Marvel Cave where you’ll descend nearly 500 feet and see the breathtaking beautiful Cathedral Room, and listen to the experienced guide as he shares historical information and interesting facts about the cave. The Titanic Museum is another great sight in Branson to visit as it tells the stories of those who were onboard the famous ocean liner that has mystified the world for more than a century. The passengers who perished and those who survived the fatal incident are remembered in the displays and special events held in this museum throughout the year. The two-hour Titanic tour includes interactive experience which features a walk-through to the Grand Staircase, hallways, dining room, first and third class accommodations and through to the display of authentic artifacts to personal items from passengers who were aboard the RMS Titanic. If you want to own some of the exceptional replications of collectibles, select artifacts, giftware, and jewelries, you can get them at the Titanic Store inside the museum. In this store, you can have the opportunity to own collectibles such as Titanic Coal, Titanic Newspapers, Titanic Coins, and Titanic Ship Replicas. The RMS Titanic Goldtone Necklace Replica room key is a beautiful 25 inches chain with 5 inches extender that you can buy which was based on a recovered artifact. You will also find in the store Titanic Men’s Apparel, Titanic Ladies’ Apparel, and Titanic Youth Apparel. Ripley’s Believe It Or Not is a wonderful attraction in Branson which offers incredible experience for the whole family. The 12,000 square feet Odditorium of this unique museum is considered as the most unusual building in the entire Missouri. This cracked structure features more than 450 exhibits of oddities and eight unique galleries. Inside the museum you will see a wide display of over 400 unbelievable artifacts, jaw dropping oddities, pranks of nature, world records, interactive and awesome works of art. You will also find bizarre items on display that include shrunken human heads, authentic vampire killing kit, and much more. The unusual cracked building is a reflection of an earthquake that measured 8.0 on the Richter Scale. The earthquake that happened in 1812 made the bells ring in one of the Philadelphia churches that time. That earthquake was the worst to hit the US that time and even surpassed the earthquake that hit California these last few decades of the 20th century. 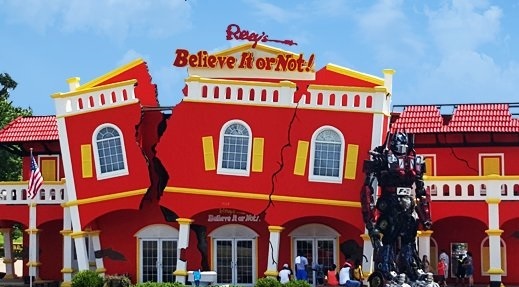 The odd cracked building of Ripley’s Believe It or Not in Branson has become the world’s most photograph spots. Table Rock Lake is another beautiful sight in the Ozarks not to be missed as this place is considered by many vacationers as a perfect vacation destination during summer season. The lake is a great place to enjoy fishing, scuba diving, swimming, parasailing, and boating. At Table Rock Lake you’re sure to enjoy ultimate fun with its several outdoor activities and thrilling water sports adventures. Along the lake, you will see dozens of scenic spots such as the beautiful rolling hills below the Ozark mountains, shoreline, and bluffs which are very much preserved by the area’s conservationists and environmentalists. There are area resorts and marinas at Table Rock Lake that can help you get a fishing guide to help make your water sports adventure full of fun. If you are a fan of fishing, you can join the local and regional fishing tournaments which are regularly held at Table Rock Lake every year. In the lakeside, you will find many restaurants that serve delicious food and other things you need for your boating adventure. So, if you want to spend a wonderful vacation this summer season in Branson, don’t miss to visit interesting sights and landmarks around the Ozarks.